Zesty Paws' 5-in-1 Multivitamin Bites are delicious chewables with over 35 essential vitamins, minerals and nutrients that provide daily nutritional support for dogs of all ages, breeds, and sizes. Skin & Coat Complex: Features Cod Liver Oil, Biotin, and Vitamin E to help nourish skin for a supple and healthy appearance, while also keeping coats shiny and strong. Hip & Joint Complex: Contains Glucosamine HCL, Chondroitin Sulfate, and OptiMSM (distilled methylsulfonylmethane), a proprietary ingredient that exceeds industry standards for optimal purity. Together these powerful ingredients promote mobility and flexibility to support hip and joint health. 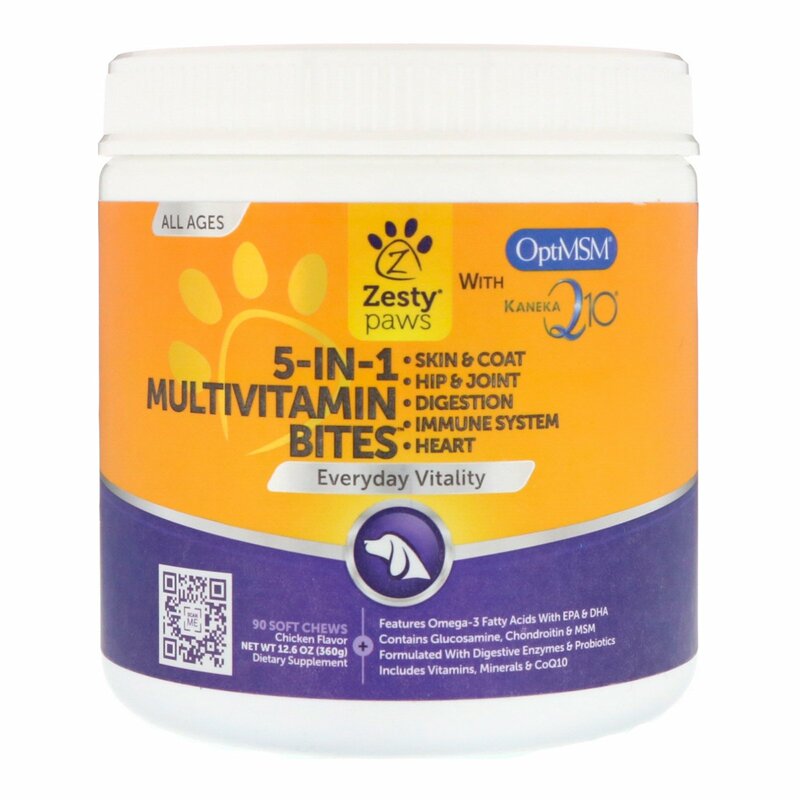 Digestive Complex: Include Digestive Enzymes, Niacin, and a five-strain Probiotic blend at 500 million CFU per chew to encourage healthy digestion and nutrient absorption. 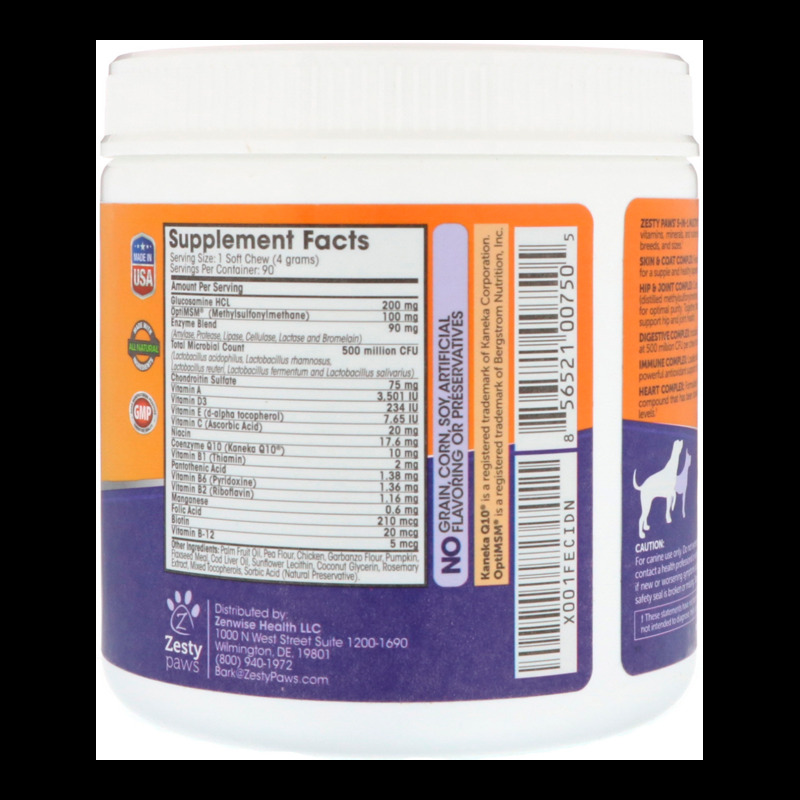 Immune Complex: Loaded with Vitamin A, Vitamin C, and Vitamin E to provide dogs with powerful antioxidant support to maintain healthy immune system function. Heart Complex: Formulated with Folic Acid and Kaneka Q10, a pure Coenzyme Q10 compound that has been shown to promote proper blood circulation and cellular energy levels. 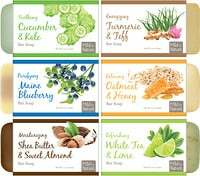 Palm fruit oil, pea flour, chicken garbanzo flour, pumpkin, flaxseed meal, cod liver oil, sunflower lecithin, coconut glycerin, rosemary extract, mixed tocopherols, sorbic acid (natural preservative).